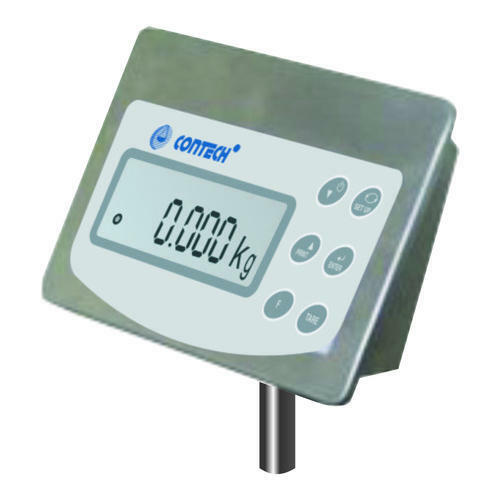 We are one of the leading manufacturer, supplier & exporter of Universal Weighing Indicators. Our company specializes in providing our client the best possible types of Universal Indicators. 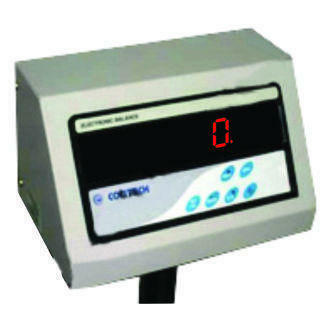 This equipment has an indicator LED display box which specifies the weighing capacity. 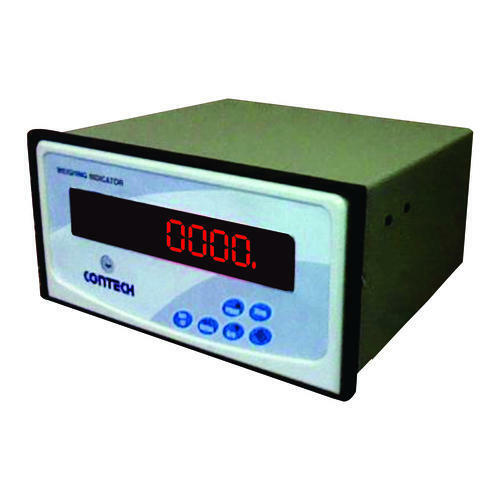 The indicator is fully digitalized and is so designed so as to provide accurate result with a minimum response time. 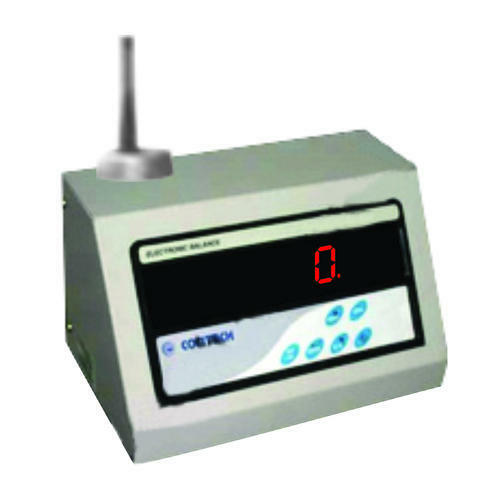 For those looking for the accurate and reliable Batch Weighing Indicators, our company is surely a name to reckon with. 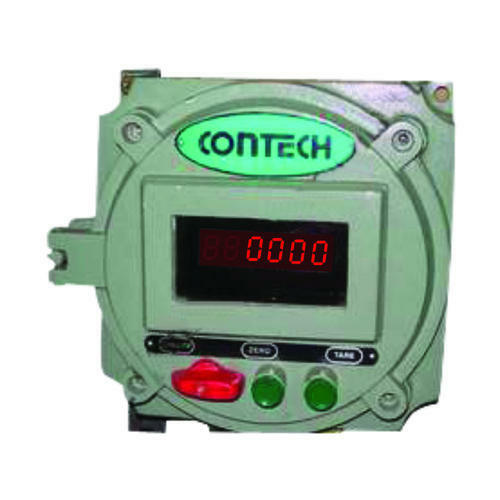 The equipment usually has a real time clock which certainly is a great help in accurate measurement. Our customer gets an array of options to choose from at a very reasonable price. We offer the supreme quality Stainless Steel Housing Indicators at a very reasonable price. This particular equipment is made up of stainless steel and has a water proof, high protection indicator and is mainly used in the pharmaceutical industry. Our clients get to choose from a wide range of options at a very reasonable price. GLP Compliant suitable for food, pharmaceutical industries (Optional). Real Time Clock (RTC) (Optional). Large size Backlite LCD display. We are the leading manufacturer and supplier when it comes to Flameproof Indicators. We offer our customer an array of options to choose from at a very reasonable price. This equipment has a flameproof as well weatherproof enclosure which has a glass window for easy visibility. This product is available at an affordable price. Cast aluminium construction in compliance with requirements in respect of flameproofness and temperature class suitable for use in Zone 1 Zone 2 and gas groups IIA IIB atmospheres. Certified by Central Institute of Mining Fuel Research, Govt. of India. Suitable port along with cable glands for the power inlet loadcell connection. 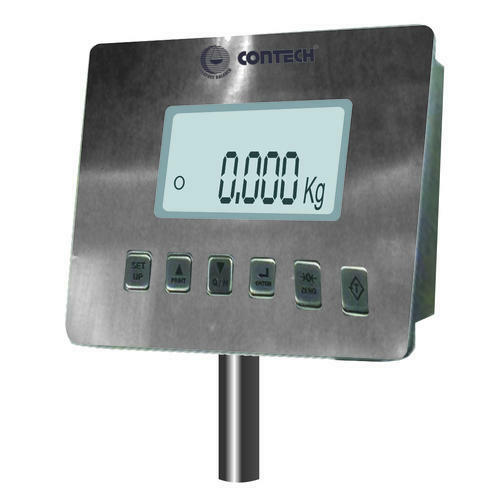 Contech Platform Scales / Systems are offered with various types of Indicators for different working ambiance and application. LCD display with white backlight. Maximum distance upto 50 mtrs. We are the leading name when it comes to Wireless Indicators. This equipment is specially designed to meet the customer’s requirement and do the required work in the given stipulated time. Usually this equipment is fitted with radio frequency transmitter for the transmission of signal. Fitted with radio frequency receiver for the reception of load signal from a loadcell fitted with radio frequency transmitter. Maximum distance upto 50 mtrs. All specifications are same as Universal Indicators.